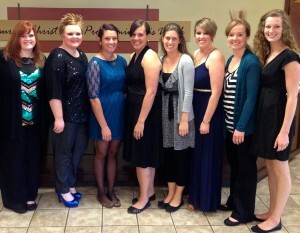 Heartline Pregnancy Center is dedicated to the Christ-centered service of individuals throughout the greater Warsaw area who are involved with an unplanned pregnancy. We seek to preserve the sanctity of life, while combating generational and situational poverty, through various programs that encourage educate and equip. Founded in 1985, Heartline Pregnancy Center provides medical and educational services for men and women in Kosciusko, Whitley, and Fulton counties. Heartline serves clients experiencing an unexpected pregnancy and needing medical advice and guidance in order to make the best decision for themselves. Additionally, Heartline provides services to sexually-active adults about STDs, pregnancy, and abortion. Medical services include pregnancy testing, ultrasounds, prenatal vitamins and STD vouchers for testing. Heartline’s education and outreach programs are extensive, and fall under the category of their Earn While You Learn Program, which rewards clients’ activities that contribute to physical, mental, and spiritual health with coupons towards baby supplies and other items. Two of these educational programs are Rock Solid, a father mentorship program and Beauty Restored, a pregnancy loss and abortion recovery program. Curriculum for these classes include the following: Heritage House, Earn While You Learn, National Fatherhood Initiative, Focus on the Family, Injoy, Christianbook.com, and I Decide For Me. A large part of Heartline’s educational efforts are outreach-oriented, meeting communities members in a number of places where they might be struggling: local homeless shelters, jails, high schools, as well as a neighboring trailer park community called Enchanted Hills. Not only do they distribute materials and knowledge about sexual health, but they also bring medical services through mobile pregnancy units that offer pregnancy testing and some opportunities for ultrasounds. Heartline focuses on having a large amount of paid staff; they have ten currently. Since Heartline is a Christian organization focused on Christ-centered service, having a larger amount of paid staff than usual allows Heartline not only to have a committed team of mission-focused people, but it also allows for relationship development between clients, who might come in as often as once a week, and staff. Heartline does, however, utilize volunteers in a variety of areas, including the Beds and Britches, Inc. (B.A.B.E) boutique program, where expecting parents can buy clothing, furnishings, and other essential items such as diapers and wipes through a coupon system. Additionally, Heartline is open full-time, five days a week, which sets them apart from many pregnancy centers where there are limited hours. Amy Rosswurm, Executive Director, stated, “Not all pregnancy centers have the financial ability to be able to do that, so I feel that that sets us apart, that we’re able to serve annually more clients just due to the fact that we are open more and have more staff.” In 2014, Heartline had a total of 4,412 medical and client services visits, as well as 107 visits to the mobile pregnancy unit. Having the kind of budget that affords this quality of service requires that Heartline have a highly organized and innovative plan for fundraising–which they do. Tried-and-true fundraisers include an annual banquet, annual Walk for Life, as well as new fundraisers like Drive for Life, Envelopes for Babies hosted during the two weeks before Valentine’s Day, and Pizza Hut nights. In order to keep the donor base excited and interested, Development Staff seek new and engaging ways to fundraise, as well as ways to tweak existing fundraisers. Amy guesstimated that their fundraising efforts bring in as much as one to two-thirds of the annual budget. Additionally, Heartline receives funds through grants from local organizations, United Way, individual donors, and local churches. 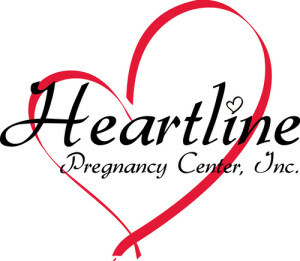 As the only pregnancy center in Kosciusko County, Heartline serves the important role as a resource for local clients who need help. Thinking outside the box, Heartline’s outreach-oriented model includes forming a unique partnership with forty-four organizations locally to hand out B.A.B.E. coupons. In this way, Heartline encourages their clients not only to utilize Heartline’s resources, but also to make healthy choices by visiting doctors, dentists as well as resources like WIC (Women, Infants, and Children programs) in the community.